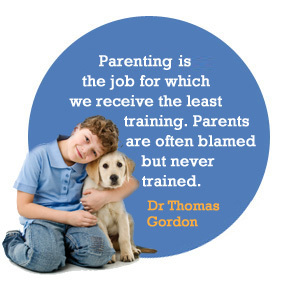 The world’s no.1 parenting program developed by Dr Thomas Gordon, skills parents to raise resilient and responsible children without using fear, rewards, punishments or time out. Healthy communication and conflict resolution skills to build nurturing and enduring relationships. Helps create a climate that greatly reduces stress and tension within the home. Teaches parents how to build better rapport with their children. Invaluable listening and problem solving skills to support your child through their upsets. Communicate in a clear concise and respectful way so you are heard and can get your needs met with less resistance. Teaches a six step model to deal with inevitable family conflicts so nobody loses. Arm yourself with communication tools to ease anxiety around difficult conversations and challenging situations. Prevents you being ‘fired’ as a parent when your children become teenagers. Who is P.E.T. suitable for? Parents; suitable from pregnancy to teenage years and beyond.